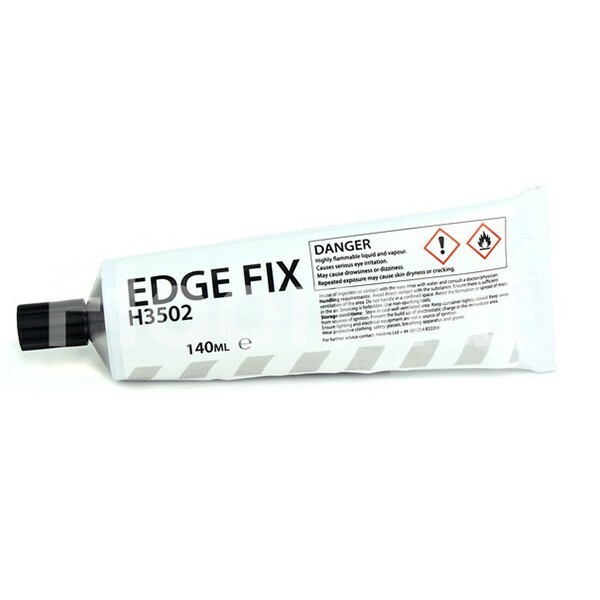 For use in heavily traffic areas or where there might be a lot of impact at sharp angles (for example one of our non slip stair treads on a stair nosing with high heels impacting onto the sides) we recommend Edge Fix sealer. 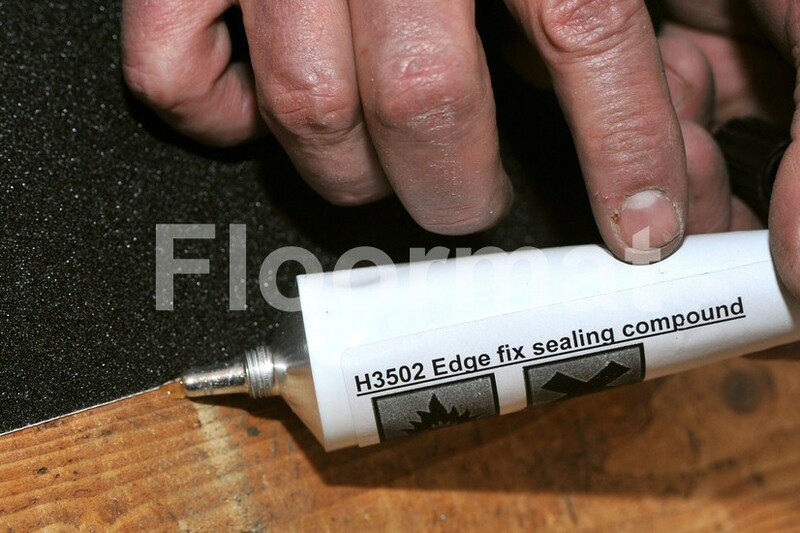 Edge Fix is applied onto both the substrate and the tape, it then shrinks into place effectively pressing dragging the material into place and holding it firm. The Edge Fix dispenser has an appearance similar to a large toothpaste tube; our nozzle is very fine and allows accurate dispensation. Only a small amount is required for our non slip stair treads, just enough to touch tape and substrate (only use AFTER application not before). Edge Fix sealer dries in around 10~15 minutes. One 5 fl oz tube seals 120 linear feet of non slip stair treads.